Precious metals futures advanced Wednesday, led by silver with its 1% increase. Gold trailed them all, rising just 0.2%, but it finished at a more than two-week high. Gold for August delivery — the new, most active contract — rose $2.40 to settle at $1,306.50 an ounce on the Comex division of the New York Mercantile Exchange. The settlement is the highest since May 14. "A sharp drop in the U.S. dollar index today was a bit supportive for the precious metals markets. However, the USDX hit a 10.5-month high on Tuesday," Jim Wyckoff, a senior analyst at Kitco Metals Inc., said in a report. "Several fundamental factors are in play in the marketplace at mid-week, but few seem to be having much impact on the precious metals at this point." 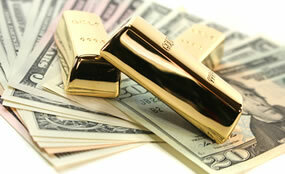 Gold futures ranged from a low of $1,300 to a high of $1,308.80. They slipped 0.4% in the start to the new trading week on Tuesday. Silver for July delivery gained 17.1 cents to settle at $16.544 an ounce. Silver futures traded between $16.32 and $16.58. They fell 1.1% on Tuesday. July platinum added $2.60, or 0.3%, to $908.50 an ounce, ranging from $903.50 to $911.90. Palladium for September delivery added $4, or 0.4%, to $975 an ounce, trading between $966.30 and $977.70. United States Mint bullion sales advances for the first time this week. They were limited to one coin, however, with the 1-ounce American Gold Eagle rising by 6,000.